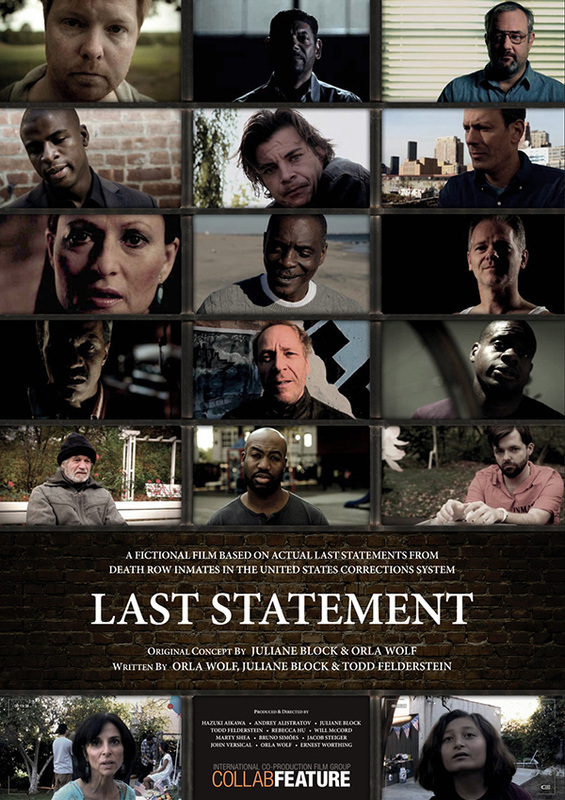 The film deals with the actual last statements by real life death row inmates. 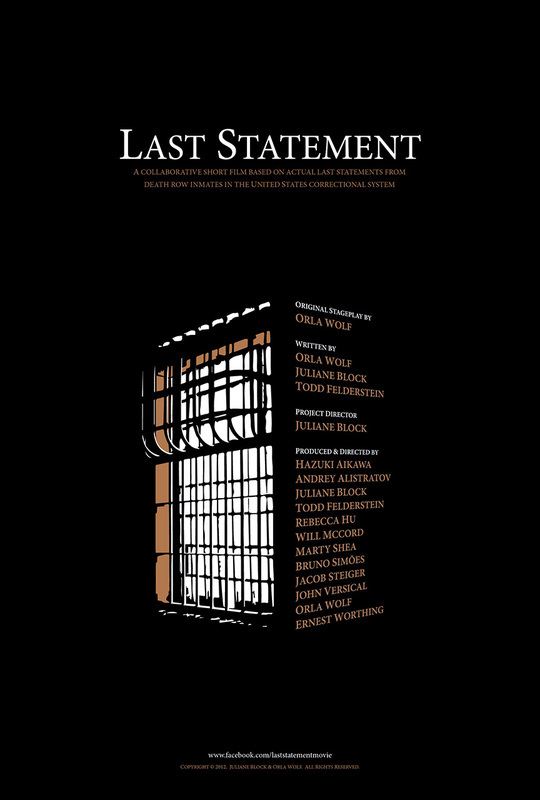 It is not pro or anti-capital punishment but merely strives to show that no one plans on being on death row one day and what one would say, knowing that they would be his/her last words. It's going to go through film fests this year and will be out on DVD in the EU by the end of 2014.